An island can be one of the greatest assets to the function and style of the kitchen. 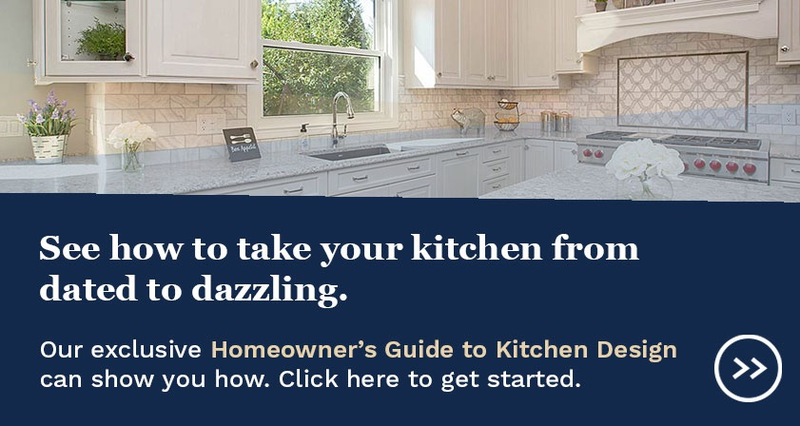 The island's ability to pull multiple duties, conform to a variety of size, shape and configuration needs, and provide a way to add slightly different design notes from the rest of the kitchen make it something of a kitchen superhero. Here, we highlight 6 islands from some of our recent projects. Islands are an ideal feature in the kitchen with low amounts of open counter space around the perimeter, such as in this Loveland kitchen above. With a long, open counter perfectly positioned for each zone of the room (sink, range, and fridge), this island is perfect for food prep, functioning as a table for parties, and sitting down for a casual family meal. In this case, the island stays true to the kitchen's design with the same cabinetry and countertop. An open shelf at the end provides a place for cookbooks without stealing storage from the main areas of cabinetry. 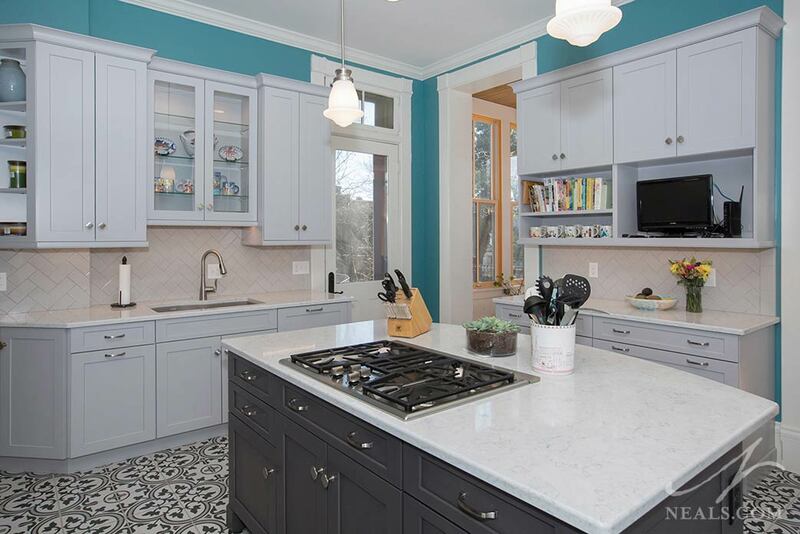 This chic kitchen in Blue Ash gets a huge style boost with the design of the island. A vintage green finish on the beadboard-fronted cabinetry, and the rich wood of a classic butcher block counter adds a casual, farmhouse tone to the transitional style of the surrounding kitchen. This island's long, slim shape allows it to be both a functional working surface closer to the kitchen, as well as a seating toward the other end. 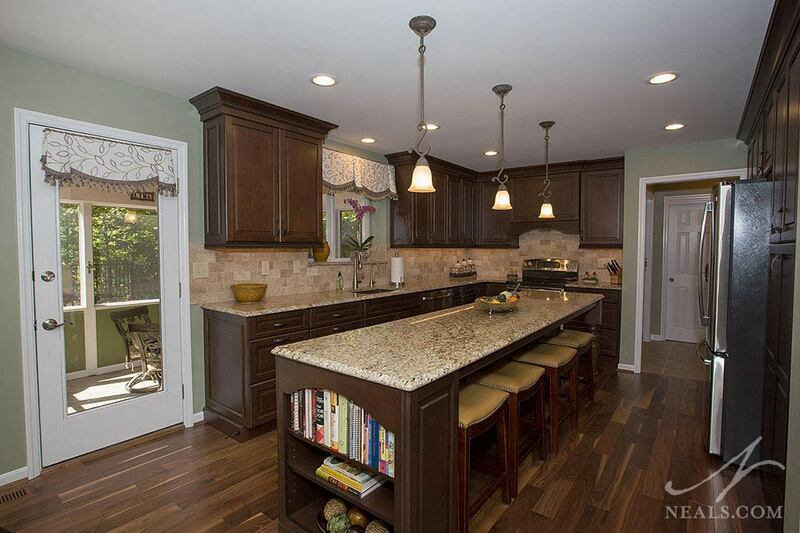 The entire length of the island's back side is cabinetry, adding several more feet of functional storage. Long kitchen islands that can accommodate seating and a working counter, without getting in the way of each other, are great for homes where everyone always seems to end up in the kitchen. 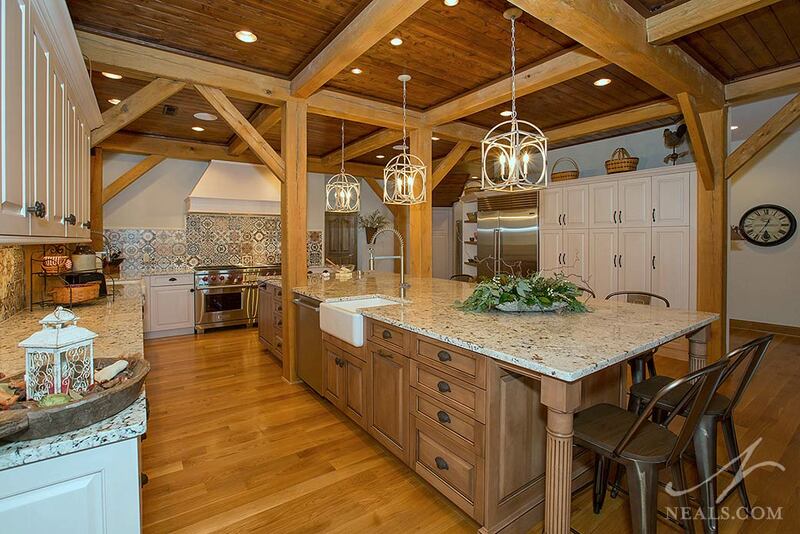 This Mason kitchen accomplishes this with an island that joins the two sides of a galley kitchen. A prep sink on the island, on the side closest to the range, increases efficiency while cooking. Seating around the end welcomes others but keeps a bit of separation from the working zones. Here, the island's white cabinetry contrasts the darker colored perimeter cabinets to keep the room from feeling too visually heavy. 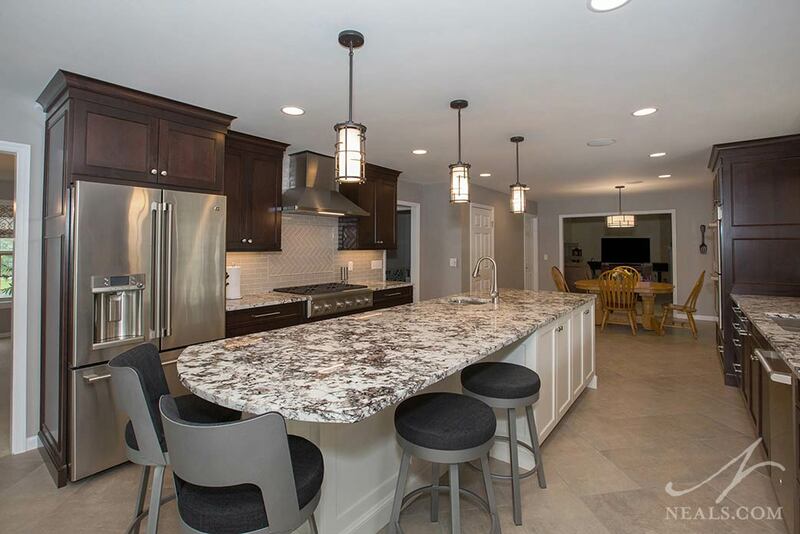 Not every kitchen can handle a large scale island, like this Middletown kitchen, but when it's possible, the island can increase the kitchen's functional capacity by a huge degree. This kitchen, designed for a home cook, houses 2 of the most needed appliances. The island is what makes that possible by not only providing a place for the second sink and dishwasher, but also taking on a lot of the storage load. It also accommodates 6 seats. 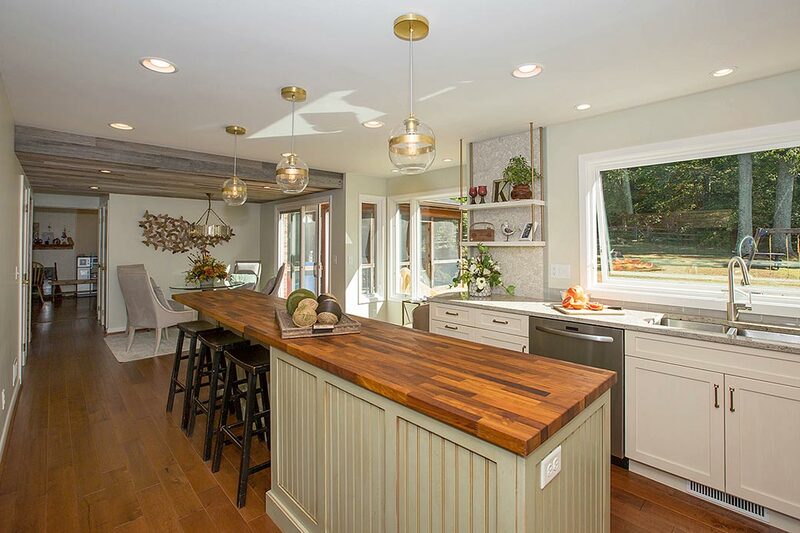 The style choice for the island differs from the rest of the kitchen's white cabinetry, giving the appearance of a solid piece of furniture- a feature of traditional country-inspired design. A shortage of counter space around the walls in this Loveland kitchen provided and excellent excuse for a simple island. This perfectly-scaled island, with its open counter and deep cabinet storage increase the kitchen's space without adding extra bells and whistles. The light tones of the counter in the center of the room helps balance the rich depth of the kitchen's transitional cabinetry. Ready for action, this island is a wonderful example of what a basic island can do for a kitchen. 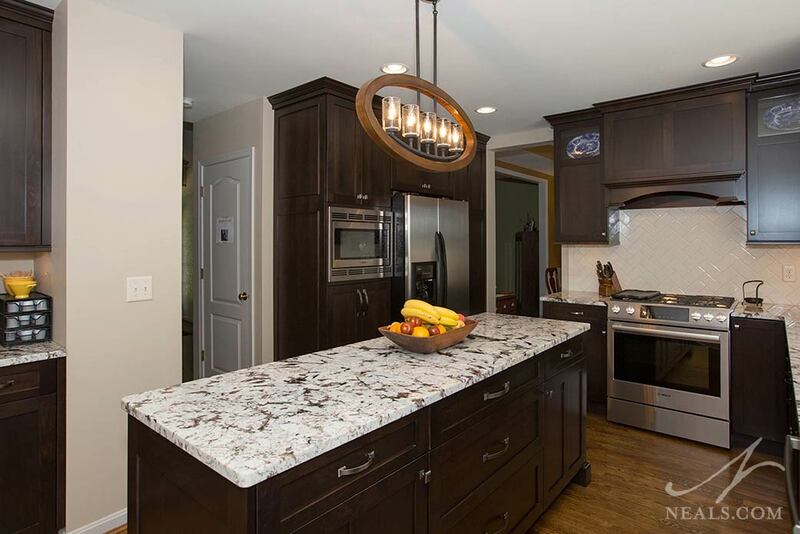 In many ways, this Walnut Hills kitchen island is a classic. Positioned in the middle of a four-walled kitchen (each wall has cabinetry), the island serves as a hub. Placing the cooktop here, with storage below, allows the island to distribute the working areas more effectively in the room. The curved edge on the other side, also a classic design, creates a counter for seating and provides a subtle visual cue for the way traffic should move through the room. 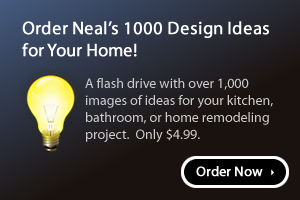 The black cabinets tie the graphic floor tile into the space, and helps ground the cool gray of the rest of the room.